Mobile development is increasingly important, but the development environments for iOS and Android are radically different. Xamarin forms aims to solve that problem, and also provides developers who are familiar with C# a path into mobile development. This webcast will introduce you to Xamarin forms, and discuss its benefits and limitations. A real world example will be used to demonstrate how Xamarin can be used in non-trivial apps. Keith Welch has been in engineering for over 30 years, and in software development for over 20. Besides being old, he has worked in .Net since the first beta, and in mobile for over 10 years. He is the founder of Mooseworks Software, a custom software development and developer tools company. 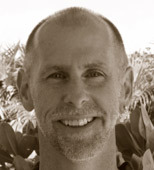 He is based in New Hampshire and Turks and Caicos, and blogs on http://developerisland.com/.